Prof. Roald Hoffmann is a unique personality in the history of chemistry and one of the world's well-renowned theoretical chemists and it is a thrilling experience to read an in-depth interview with him. It might be asserted that Prof. Hoffmann is the world's most literature-loving chemist, as he has published several poetry and play books and some plays by him have even been performed. 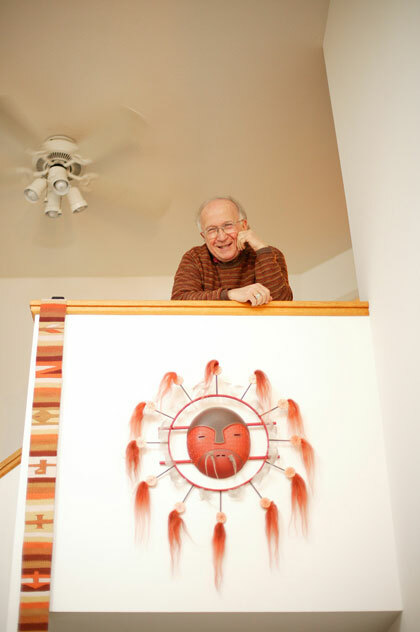 Roald Hoffman was born on July 18, 1937 and is 75 years old now. Hoffmann received his Bachelors of Art degree from the Columbia University, his master's degree and his Ph.D. from the Harvard University under the supervision of 1976 chemistry Nobel Prize winner William N. Lipscomb, Jr. In the history of American Chemical Society, he is the only chemist who received a medal of honor two times for his studies and researches on organic and inorganic chemistry. He is a recipient of the Priestley Medal in 1990, Arthur C. Cope Award in Organic Chemistry, Pimentel Award in Chemical Education in 1996 and Monsanto Award. He is a Foreign Member of the British Royal Society and a Member of the Royal Swedish Academy of Sciences. Hoffmann has received more than 25 honorary degrees from universities around the world and is now considered one of the most prominent chemists of all time. 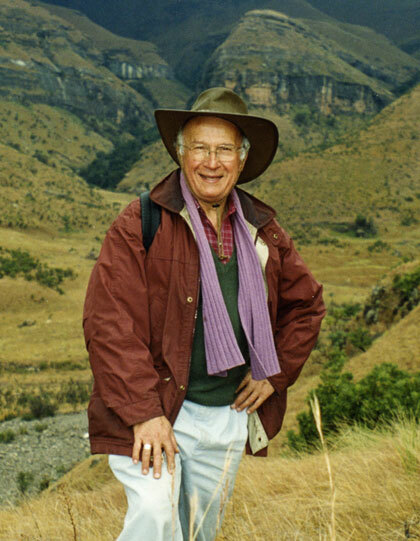 Roald Hoffmann's parents wanted him to become a physician. He himself loved history and literature, but finally become a chemist! 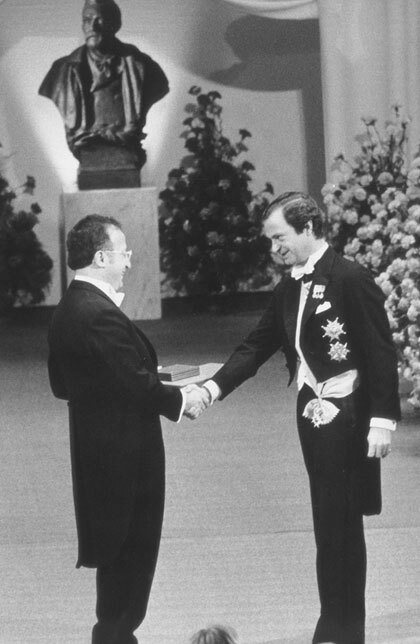 What follows is the text of my in-depth interview with Roald Hoffman, the 1981 Nobel Prize laureate in Chemistry. This interview originally appeared in Persian in Iran's Daneshmand magazine and is being published in English for the first time in CounterCurrents. Kourosh Ziabari: Dear Prof. Hoffmann; you have studied chemistry in two of the best universities in the world, namely Columbia and Harvard. How much did studying in these universities contribute to your success as a Nobel Prize laureate? Do you owe your success to the excellent academic environment in these two universities? Roald Hoffmann: Of course my education in these two universities contributed a lot to my success. It should be said that in the USA, the university one attends for the first degree (what we call BA or BS) does not matter much for success in science -- so if one looks at the best US scientists, one sees that they went to a great variety of colleges and universities for their first-degree. But they did their PhD work at a much smaller group of universities, where good research is done. Harvard is certainly one of them. Kourosh Ziabari: What made you interested in chemistry? Roald Hoffmann: I am a latecomer to chemistry. I played with chemistry sets when I was a boy, but in secondary school the only advanced course in science that I did not take was chemistry. The first chemistry courses that I had at Columbia were not particularly interesting, I took them because medicine was my professional goal; or, better said, that is what my parents wanted me to do. Poor children of immigrants; for what their parents naturally want them to do is to have a safe profession. At the same time the world was opening to me in Columbia in the humanities and the arts. So one way of summarizing what happened to me at the University is that I had the courage to tell my parents that I didn't want to be a doctor. But I was not courageous enough to tell them that I wanted to go into the history of art. What kept me going in science during the University years was research experience, gained at national laboratories such as Brookhaven, and the National Bureau of Standards. Getting an exposure to research is very important for young people. Back to chemistry: Even in graduate school I took courses in other fields; I think the fair thing to say is that I did not decide to chemistry until halfway through my PhD in chemistry. But I have loved it since! Kourosh Ziabari: You have contributed to the production of the TV series "The World of Chemistry." Is there anything attractive in chemistry which may appeal to the ordinary public and interest them? To put it more succinctly, how do you make people interested in the field for the flourishing and thriving of which you have worked several years? Would you please give us some information on the TV series The World of Chemistry? 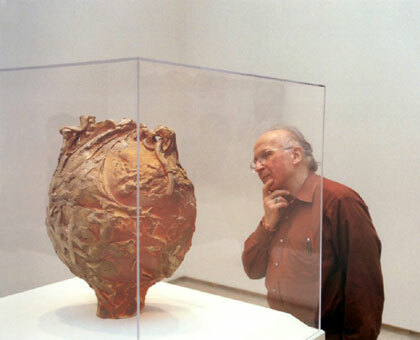 Roald Hoffmann: There are so many things that make chemistry of significance to ordinary people and to world culture. First we are surrounded by chemicals – for what else are the medicines, the cosmetics, the ceramic, metal, and plastic containers we use, the fabrics around us. We are the masters of transforming matter – of taking natural things (molecules), and changing them into human-made matter (also molecules). When you take a child to a doctor with a fever, you want the medicine (a chemical) to take away the fever (a biochemical process). And you worry about the side effects of the medication (more chemistry). This we try to communicate to people, and I feel we do it well in the TV series that you mention, The World of Chemistry. I also think that there is deep intellectual value, even spiritual value in knowing what the world is made of and how it works. I think the knowledge we have gained of heredity, the central role of the DNA molecule, the way proteins are made -- I think this knowledge that is spiritually valuable. Kourosh Ziabari: Actually, the Iranian lovers of chemistry have been deprived of the opportunity to watch it. It hasn't been aired in Iran. Would you please elaborate on this more? Roald Hoffman: The DVDs of this series (originally it was 26 one half hour episodes), are available for purchase. For general showing to an Iranian audience it would be necessary to translate this series that is to provide an Iranian soundtrack. I think this would be a wonderful idea for some government agency, for instance the National Iranian Oil Company, to sponsor. Kourosh Ziabari: Chemistry and poetry! How do you make a connection between them? You're a renowned chemist while at the same time, an established poet who has published several poems and collections of poetry. How did you become interested in literature? Isn't it puzzling or surprising for your friends and associates that you have entered the world of literature so deeply and professionally as to become a playwright and poet? Roald Hoffmann: As I mentioned above, I have always been deeply interested in the arts and the humanities as well as science. At Columbia University I took a course in poetry taught by a wonderful teacher, poet, Mark Van Doren. It is there that I learned how to appreciate the poem. But I did not try to write one until I was around 40. Poetry gives me a way to express myself that is different from science. I am in love with words, and when I encounter a phrase that has a meaning that is more than the words it contains, that for me is the beginning of a poem. I think every person has a spiritual side as well as a material side; poetry allows you to enter that spiritual side. Play for me come from dramatic situations: there is a person, or two or three; something is said (or a silence), and as it is said (or not said) the world changes for those people. Kourosh Ziabari: This question is almost in line with my previous question. You are a member of the American Philosophical Society. You admit that philosophy is one of the most complicated and intricate fields of human sciences. How did you infiltrate into it? What was in philosophy that attracted you? Do you consider yourself a philosopher? Which of the modern philosophers you admire most? You may also admit that many college and university students avoid philosophy courses because they know that it's extremely difficult to deal with. What's your take on that? Roald Hoffmann: It turns out that the American Philosophical Society, interprets the word philosophy not in the usual way but in the way it was used at the end of the 18th century when Benjamin Franklin, one of its founders, lived – as natural philosophy, which was the province of scientists. But I do have a philosophical side to my personality and I have written some philosophy, even in professional journals in the field. Basically I like to reflect on what I do, on what science can do, and what it cannot. I am interested in how we know what we know, how we reason. Of the modern philosophers of science, for instance, I am attracted to the work of Thomas Kuhn, and of Peter Galison. I have written an article about the way philosophy of science would be different if chemists had constructed it instead of physicists or mathematicians – most philosophers of science have backgrounds in physics and mathematics. Synthesis is central in chemistry; and theorems are rare. Chemistry makes creative advances using imperfect understanding, fuzzy logic. Creation is as important as discovery. All this makes for a different – I think more realistic – starting point for thinking about how we acquire reliable knowledge of this world. Kourosh Ziabari: You have received so many awards which take years of vigorous endeavor and effort to achieve, including 25 honorary degrees. Have these honors ever made you proud and overconfident? In the Iranian culture, being modest and unassuming is a social value. What about your culture, which surely is an international culture, and not one which is confined to a single nationality? Roald Hoffmann: Well, on this you are going to have to ask other people, for instance the students and my colleagues. Pride and overconfidence are not virtues. Modesty, which you described as a central virtue in Iranian culture, is a wonderful thing. One should not push oneself forward. I think I have managed to do good science without hype, exaggeration. You can be a good scientist without publishing in “science” or “Nature.” I'm an example. We are shaped by our culture, and live in several cultures. I think I am a product of the eastern European Jewish culture I came from, and of being an immigrant to America. And I am a scientist, a wonderful international culture. Kourosh Ziabari: I think "Chemistry Imagined" was one of your successful books in which you tried to depict the interrelation between science and arts. You elaborated on that in your essay "Art and Chemistry." You cited examples of the formational beauty and elegance of chemical compounds and said that there's beauty and art in chemistry. Would you please summarize for our readers your view on the beauty and exquisiteness which you believe exists in chemistry? How can an ordinary man who doesn't know much about chemistry find beauty and attractiveness in it? 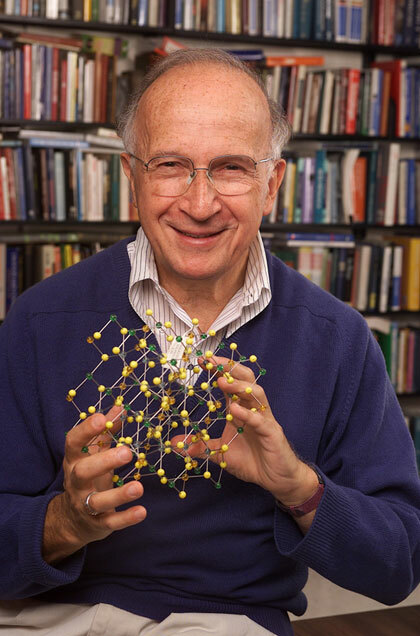 Roald Hoffmann: First of all, chemical compounds are beautiful in their colors. Look at lapis lazuli, for instance, or the red color that comes from beetles, kermes, that is used as a dye in Iranian rugs. How beautiful are the crystals of minerals, of quarts and pyrite! Those are all chemicals. Second, as we move inside, and see things in microscopic detail, we see molecules, persistent grouping of atoms (atoms are dull, molecules are interesting!). These may be simply beautiful and beautifully simple, like cubane, a molecule of eight carbons at the corners of a cube, eight hydrogens radiating out. Or they may be complicated as in the molecule of hemoglobin, which has some 9500 atoms. At first sight it looks like a piece of pasta or a bunch of worms, but this molecule, found in every body, is able to take oxygen from the air, and carry it to the cells in our bodies. Life would be impossible without it. Now that is beautiful! Kourosh Ziabari: Many scientists come to the conclusion that there's a direct and undeniable relationship between science and religion. They say that both science and religion are aimed at improving man's position in the world and purifying him. Many scientists who deal with natural sciences say that they can trace the footsteps of an intelligent designer in the complex creation of this world and the universe which we are living in. What's your viewpoint? Has chemistry led you to the belief that a powerful and almighty God has created our universe and put in stream the order which governs the world and the living things in it? 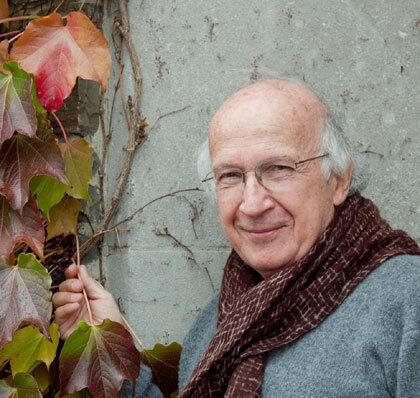 Roald Hoffmann: I have thought a lot about religion and science. First of all, I am an atheist, but an unusual one, as I have a lot of respect for religion, and a feeling for ritual. I think science and religion come from the same starting point and that is wonder about the world and its origins. I think they are complementary views of the world, and they come in conflict only when one or the other tries to run the social and political institutions of this world. I do not believe that from contemplating the wonders of this world one is rationally led to the belief that there must be a God, powerful and almighty, who has created those wonders. I can see wonderful things that come from things behaving as they do, ruled by the forces of nature and chance -- crystals forming, chemical reactions going on, creating wondrous complexity from simple beginnings. So my personal opinion is that one does not need an intelligent designer to make this beautiful and terrible world. At the same time, I respect the views of reasoned people who see that beauty as Created. I learned a lot about the argument from design in Islamic tradition from an article by Nidhal Guessoum that I would recommend to your readers: http://www.science-islam.net/article.php3?id_article=655 . Kourosh Ziabari: What was your reaction when you were first told that you won a Nobel Prize? Who informed you? Had you ever dreamed of winning a Nobel Prize during your scientific career? Was it an ultimate goal for you when you were working on the development of Woodward-Hoffmann rules? Roald Hoffmann: Ah, my friend, you are falling into a typically journalistic attitude toward the Nobel Prize. First of all, in science as well as in literature, the people in the field know who is good. The work that Woodward and I did was recognized as important, very important, within two years of when it was done. And readers of literature knew decades ahead of the Nobel Prize that the novels of Octavio Paz or Gabriel Garcia Marquez were wonderful. In any year that it is awarded, I can tell you of 20 people who, if selected for the Nobel Prize in chemistry, the community would be happy. But only three get it. So, firstly, it never a surprise (as much as journalists want it to be) that one gets a Nobel Prize – the people in the field always know who deserves it. But, secondly, it is a surprise, because of that chance nature of the award, among those who deserve it. The decision is made by a group of Swedish scientists, and their own history, education and preferences enter in a way that is not predictable. Once one realizes (around age 25) that it is in the end a chance event, that it is possible to aspire to be a good scientist but it is NOT reasonable to aspire to a Nobel Prize, most people stop thinking about it. And try just to do good science. When I was working on the Woodward Hoffmann rules, the Nobel Prize was about as far from my mind as possible. I was just doing something interesting, very interesting. I actually had no idea it was important at the time; a few years later I became aware of it. But Prof. Woodward did know it was important. How did I find out? I was at home, fixing my bicycle, listening to the morning news, while I was doing it. Then I heard it on the radio. I immediately ran in from the garage and called my mother before our phone would start ringing. Kourosh Ziabari: Let me pose another question about the Nobel Prize. What's your personal idea about this prize? Many established and accomplished scholars in the world enthusiastically crave for winning this prize. What is in Nobel Prize that makes it so outstanding and remarkable? Why don't the scholars and researchers in the developing countries fail to win this award? Roald Hoffmann: In a world in which recognition goes to movie stars and athletes, it is very good to have something like the Nobel Prize to focus the aspirations of young people. Let me say it in another way: a few years ago, the Japanese company, had a radio-alarm called the Dream Machine. Well, it's the Nobel Foundation, not Sony, that has invented a real dream machine. I think it's a good thing. The Nobel Prize recognizes achievement in only certain areas, most of those areas are in science (but not a comprehensive coverage of science – Alfred Nobel had his prejudices). So it is natural that European and American countries first, and developing and developed countries afterwards, would be the ones whose citizens would be likely to make the research contributions, in science, which would be rewarded by the Nobel Prize. There was a time when no Japanese scientist had received the Nobel Prize. In time Japanese science became so good that it is now routine to see Japanese scientists as recipients of the Nobel Prize. Let Iran invest heavily in science, and in time there will be many Iranian Nobel laureates. Kourosh Ziabari: Prof. William N. Lipscomb, Jr. was your doctoral adviser. How do you evaluate his role in your scientific success? What did you learn from him that you may never forget? After all, he was a Nobel Prize laureate himself. Had he ever inspired you to achieve a great scientific discovery to win the Nobel Prize in Chemistry? Roald Hoffmann: Oh, you are just too focused and on the Nobel Prize. Prof. Lipscomb, a great scientist, taught me how to be a good scientist. He was my mentor. I also learned a lot from Prof. Woodward with whom I did the work on orbital symmetry control. Both inspired me to do good science, to pay attention to experiment, and move away from just calculation and simulation to form explanations. The Nobel Prize had nothing to do with what they taught me. Kourosh Ziabari: Would you please explain for us about the Extended Huckel method? What are the practical implications of this method? It's said that the method is used for determining the molecular orbitals and relative energy of different geometrical configurations. Does this method have any advantages compared with the method which you and Prof. Lipscomb devised for studies of boron hydrides? Roald Hoffmann: The extended H ü ckel method was developed by several of us working together with Prof. Lipscomb in the early 1960s. It is a theoretical procedure that in its time, for the first time, allowed a theoretical exploration of the electronic structure of any molecule under the sun. One could do all organic molecules, all inorganic molecules. The calculations were not always reliable, which made one think about why they came out the way they did. They were also transparent, so you could see how what you put into them affected the outcome. The calculations were just right for a person like me; I was not upset that they sometimes failed; I loved the transparency and the ease with which using the logic of quantum mechanics I could construct explanations from the extended H ü ckel computations. Explanations, in words, and in little pictures of where the electrons are in space (orbitals). Those explanations were stronger than the calculations that they were based on! The method was quickly superseded by better methods of calculations, but, in a way of saying, the method had found its man. Kourosh Ziabari: In 1992, you wrote that you had begun look at the electronic structure of extended systems in one-, two-, and three dimensions. You wrote that you and your colleagues have introduced a tool called COOP curve. What this tool is used for? What were the results of your studies? 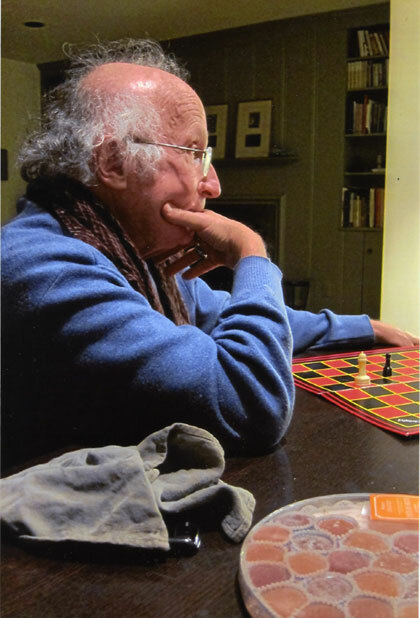 Roald Hoffmann: Around 30 years ago, I decided to look in some detail at another way in which atoms are bonded to each other, not in discrete molecules but in extended arrays. These include minerals,metals, conductors of electricity. For that purpose we needed an extension of the simple methods (like the aforementioned extended H ü ckel method) that we had for molecules. The tool that you mention, the COOP was just a way to look at the bonding between atoms in one of these extended systems. The physicists who also been looking at the way atoms are held together in extended structures often did not look for bonds. For a chemist it was natural to ask “Where are bonds?”, after asking “Where are the electrons?”. So we devised a way to extract bonds from the very complicated wave functions that emerge from our calculations. Kourosh Ziabari: Your research interests include the electronic structure of stable and unstable molecules, and transition states in reactions. You have employed computational methods and qualitative arguments to solve the problems of structure and reactivity of both organic and inorganic molecules of medium size. Would you please explain for us more about your experience in these fields? From a practical viewpoint, what the calculation of the approximate sigma and pie- electronic structure of molecules has to offer to us? Roald Hoffmann: I have looked at just about every molecule that figures in modern chemistry, with the exception of the molecules that are involved in biochemical processes. And it was great fun to look at reaction intermediates. These are fleeing molecules, they come and then they go, and yet their nature may determine the course a reaction takes. Today, do a number of things -- together with my students I solve discrete bonding puzzles, by which I mean I think, calculate, try to explain strange anomalies of geometry or reactivity that experimentalists find. This is important, for my interest in real molecules makes my work credible to experimentalists. I help them understand the strange things they find. I also try to predict molecules that do not yet exist. I do this in part because I want to pose challenges to experimentalists -- why should theorists always be just explaining what experimentalists find? In part I do this because predicting something which is not yet known is the best test that we have of our understanding. Kourosh Ziabari: In your 1993 New York Times interview, it was mentioned in the preface that your pursuits include such practical goals as finding a cheap substitute for one of the precious metals used in automobile catalytic converters. This is something which the ordinary citizen on the streets can understand about chemistry. Would you please tell us more about the practical implications of your studies and researches? I mean the things which are perceivable for those who don't know much about the complexities of chemistry. Roald Hoffmann: I am not a very practical chemist. Direct testimony to this is something that I am not particularly proud of, and that is that I don't own any patents. What I do best is to supply the chemical community with basic understanding of the factors that govern chemical combination and the outcome of a reaction. Fortunately, others can take that better understanding and convert it into practical knowledge, such as the design of catalytic converters. I think these practical things, which improve the human condition, are perhaps the most important outcome of chemistry. Chemistry has much to be proud of – an extension of the life expectancy most everywhere in the world by a factor of two, colors for you and me in our clothes that were once the privilege of the Shah only, music at any time and place. We have democratized life, brought what the few could have to many. At a cost to the environment, so it's not simple. I think you cannot make many of the advances that would further improve our life, the product of applied chemistry and technology by just taking the next chemical off-the-shelf and trying it; I think one has to have fundamental understanding, and that is what my work provides. Kourosh Ziabari: Those who have described your affinity for chemistry and arts and the connection which you believe rules these two arenas have mainly spoken of the artistically beautiful composition and harmony which exists in the molecules, chemical particles and compounds. Is the beauty of chemistry limited to such instances? Do you see other intuitive beauties in chemistry which we, the ordinary citizens, cannot perceive easily? Roald Hoffmann: Part of the beauty of chemistry whether of substances or, on the microscopic level, of molecules, is indeed in their form. And into the beauty go symmetry and asymmetry. Another part of the beauty of molecules is that one sees such variety in their interactions. So the beauty here is not in the thing itself, but then what does, how it changes. Kourosh Ziabari: You're the only person in the history of American Chemical Society to be honored for work in both organic and inorganic chemistry. Do you foresee a future in which you may be one of the few scientific personalities who have received the Nobel Prize two times? Your name can be registered along with people such as Marie Curie, Fredrick Sanger and John Bardeen as the two-time Nobel Prize laureate. What's your idea? Roald Hoffmann: Once is enough. Incidentally, had Prof. Woodward lived longer he surely would have received the Nobel Prize in the year that I did, for the work that we did was clearly collaborative work. And that would've been his second Nobel Prize. As for myself I am perfectly happy as I am; I have survived the Nobel Prize that I got, and found ways to do interesting things with my life after it-doing good science to this day and age 74, and also writing poetry plays and nonfiction. That suffices. Though, I must say I would like to have an easier time in having my place performed, and seeing my poems published. Kourosh Ziabari: I had several questions in mind, because I think an elaborate and detailed book is needed to talk about your life; however, I want to conclude my question by asking you to send your message to the Iranian readers of this interview. Thousands of science lovers across Iran and all around the world are reading this interview. Please give us a piece of advice, a word of wisdom and something which is especially addressed to the Iranian readers. Roald Hoffmann: Yes, a book might be needed. What advice might I give to your readers? I would say this-stay curious about the world, ask questions. Honor tradition and wisdom, but doubt authority. Let the world teach you!